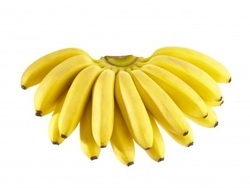 Banana is particularly good at binding ingredients together and it also retains moisture well. Apple also has a high pectin content and therefore works well as a binding agent. So use these purées in recipes where egg is used to add moisture as well as bind ingredients together (for example, muffins, cookies and dense cakes). Feel free to experiment with other high-pectin fruit. Mashed banana and puréed apple are not ideal on their own for cakes where egg is used to lighten the cake. For light and fluffy cakes it would be better to use a shop-bought egg replacer instead. However, if you’d rather use fruit purée, you can compensate by adding extra baking powder or bicarbonate of soda (baking soda). It will not be as light as when using egg, though. Another problem with using fruit purées is that they add a distinctive taste to your baking. This is not a problem if you’re making banana bread or an apple cake, but if you don’t want to have the fruity taste in your baking, choose another way to replace egg. Copyright © Tarja Moles 2013. Photograph © Dmytro Tolokonov | 123rf.com.